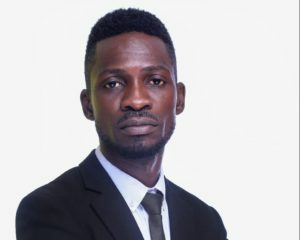 Who said that singer turned politician Robert Kyagulanyi Ssentamu aka Bobi Wine quit music completely? Let them think again and rephrase the statement because the “bikwase kyagulanyi” confirmed that he will continue singing and performing for his fans no matter the positions he acquires. In 2017, Bobiwine was elected Member of Parliament for Kyadondo East constituency replacing NRM’s Ssebalu who was over thrown over bribery and malpractices during the 2016 general elections. Many thought that his position as a musician will disappear and he concentrates more on his constituency, this was never close to the truth because the self proclaimed Ghetto President resumed with his shows and moved to different districts like Gulu, Fortportal, Iganga and his recent shows where he performed in Kaliro. 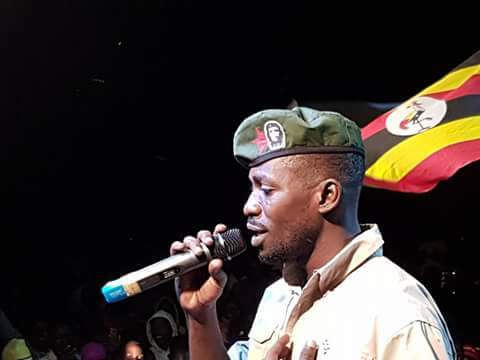 During his surprise appearance on Radio Simba last Saturday, Bobi wine confirmed that he will continue singing despite the fact that he is a Member of Parliament. And the latest news reaching us indicates that Bobi wine will be performing live on Monday (2nd April) at One love beach Busabala in Ensasage e busabala alongside singers like Feffe Bussi, Fik Fameica, Roden Y Kabako, Mickie Wine, Nubian Li, Daxx Vibes, Ssenga Nantume, King Saha, Zex among others. Expect all his songs like Uganda zukuka, Freedom, Aidah, Bikwase Kyagulanyi among other songs and also promised to officially unleash his latest songs featuring Nubian Li like Twogere and others. Entrance will be only 10,000 shillings. Be there and spend your Easter Holiday with the president himself Kyagulanyi aka Bobi Wine. 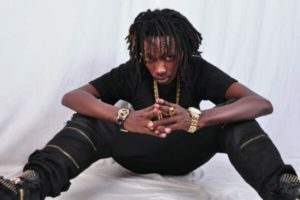 Previous articleZzina awards were a poorly organized vigil for Mowzey Radio and Danz Ku Mapeesa – Fans. Next articleHow Purple Chord Record Label Revived Beckie 256’s Drowning Career.